Enjoy a moment you will remember forever with man’s closest relative, the chimpanzees and wind this four days’ adventure engulfed in the magical world of the steaming sempaya hot springs that attract the most rare bird species in the world! We embark on our journey after breakfast, destined for the serene setting of Kibale National Park. We check in and take lunch at our lodge before setting out on a nature hike to Lake Nkuruba. The hike offers the most ideal views of the dense collection of astounding crater lakes. Day 2: Chimpanzee tracking, Bigodi Swamp walk. In the morning, we receive our briefing at the Kibale National Park headquarters in preparation for our venture into the forest. Through the undergrowth, we track chimpanzees with the help of our guide and encounter other primates, like the black and white colobus monkey, along the way. From the forest, we return to our lodge and recharge. 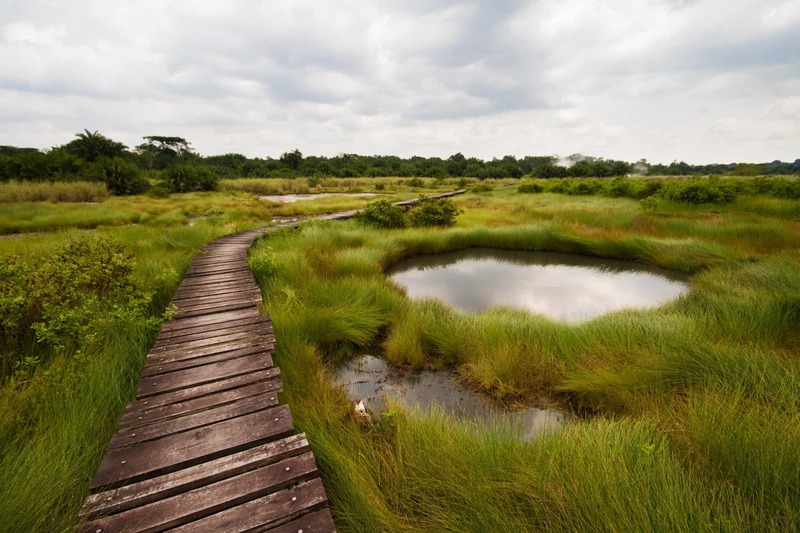 In the afternoon, we set out for a peaceful walk through Bigodi swamp, keeping a keen eye out for the diverse species of birds that call this swamp home. Day 3: Explore the magical world of Semuliki national park. Today we journey far west into Semliki Wildlife Reserve which hosts lush forestland, making it an attractive habitat for wildlife and a haven for over 400 bird species and 300 butterfly species. After lunch, we visit the famous Sempaya hot springs, easily identified by clouds of steam seen from as far as 2km. The day ends with an evening game drive; our chance to spot elephants, buffaloes, leopards, civet, and scaly-tailed flying squirrels. After breakfast, we check-out and emerge from the tranquillity of Semliki to head back to Kampala, stopping en-route for lunch.